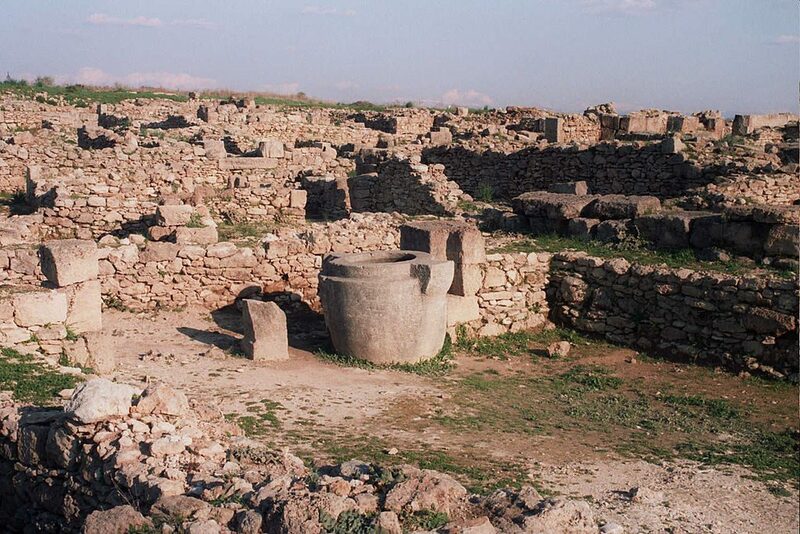 Some 3,400 years ago, Ugarit was a thriving port. The ancient city spearheaded the northern Syrian coast, maintaining trade with the Hittite Empire, Egypt and Cyprus (then called Alashiya). At the height of its development, it wasn’t only a trade center, but also an artistic one. However, the city ultimately fell and its history of centuries was forgotten until 1928, when a peasant opened a tomb. In 1973, an archive containing around 120 tablets was discovered during rescue excavations; in 1994 more than 300 further tablets dating to the end of the Late Bronze Age were discovered within a large ashlar masonry building. Within them there were musical notations dating from 1,400 BC. Most of them were too damaged to be recomposed, but one particular song was so well preserved that it could be played. Here’s the same song (known as Hurrian Hymn No. 6) performed with a solo lyre and a more interpretive style by Michael Levy. Any piece of music can sound different depending on who performs it and what instrument they use. Unfortunately Hymns 1-5 were not in a state that allowed musical reconstruction. The complete song is one of about 36 such hymns in cuneiform writing, found on fragments of clay tablets excavated in the 1950s from the Royal Palace at Ugarit (present day Ras Shamra, Syria). Richard L. Crocker and Robert R. Brown who study musical history produced a record and booklet about the song called Sounds From Silence. Crocker said that this revolutionizes music history. This evidence proves both the 7-note diatonic scale and harmony were used in music 3,400 years ago. This flies in the face of most musicologists’ views that ancient harmony was virtually non-existent (or even impossible) and the scale no older than the Ancient Greeks, 2000 years ago. Unfortunately, the lyrics remain a mystery. The Ugarian language itself is not so well understood and in addition, it appears that the language is a local Ugarit dialect, which differs significantly from the dialects known from other sources. It is also possible that the pronunciation of some words was altered from normal speech because of the music. However, it is clear that it was a religious text concerning offerings to the goddess Nikkal, wife of the moon god.